2015 ‘X Factor’ winner Cyrus Villanueva has been a bit quiet of late on the music front. But no longer, with the release of his new single ‘Blah’. In fact, it’s the singer’s first release of 2018 and comes almost 12 months after his last, ‘Don’t Let Me Know’. According to his label Sony, Cyrus has been working hard over the past couple of years “developing his artistry”. He’s been collaborating with a range of up and coming local talent on new music, including Amaastro (Angus Murphy), with who he penned the new single. “‘Blah’ is about dismissing the social norms and pressures that society places on us,” Cyrus explains. “I think everyone has or will experience this sort of pressure at some point in their lives, and can identify with the lyrics of this song. One thing’s for sure… Cyrus’s vocals are still as on point as they were back on ‘The X Factor’, especially in the verses, where we get to hear every nuance. 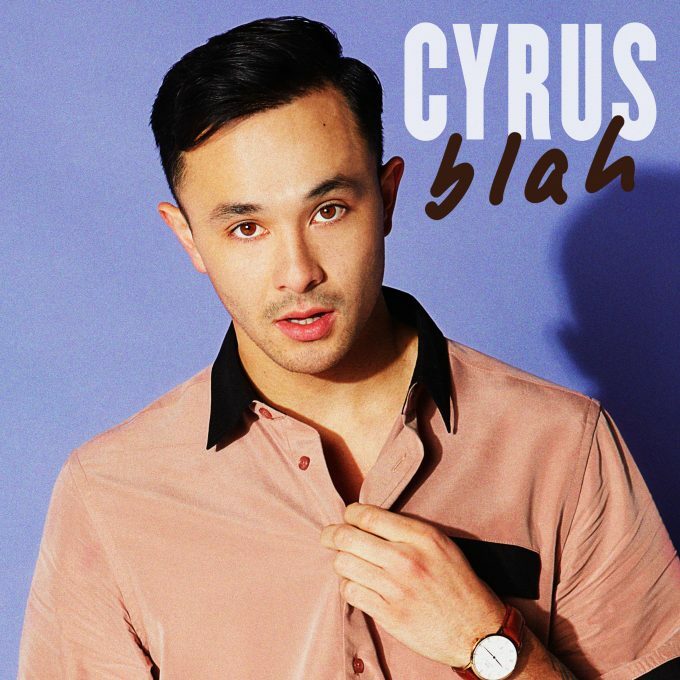 Take a listen to the new Cyrus single ‘Blah’ below.